As new payments technology seeks to disrupt the industry status quo, pressure is intensifying for financial institutions to adapt through innovation, or risk losing their existing leadership in the value chain, a new study from ACI Worldwide suggests. And while retailers and billing organizations are eager to collaborate with financial institutions in developing new payments approaches, including contactless and mobile, security concerns and fears that new technology may complicate the payments processes could put a damper on spending needed to innovate, according to the study. ACI, in conjunction with Ovum, surveyed 1,119 executives from financial institutions, retail and billing organizations in November and December 2014 in 25 global markets. ACI concludes that financial institutions still hold a competitive advantage in the payments ecosystem versus other types of players, but without aggressive development, it might not last. 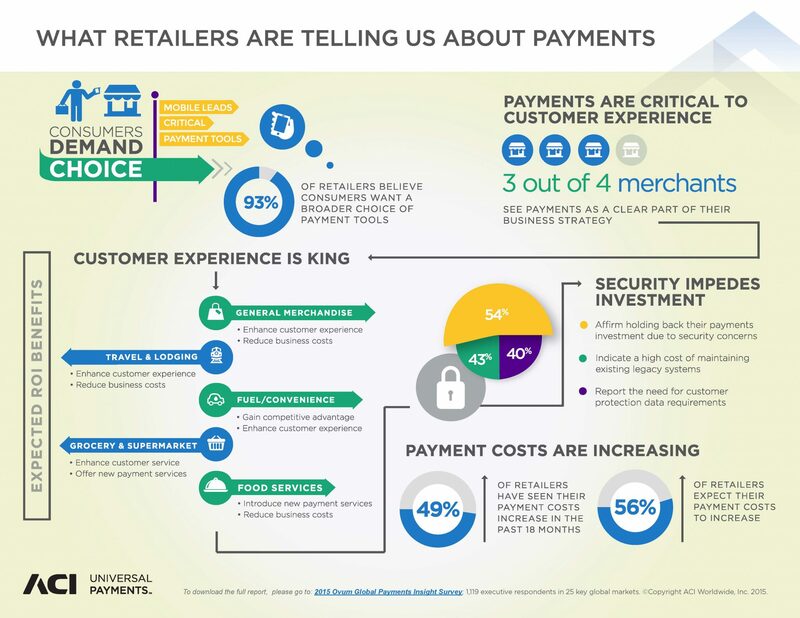 For example, 66 percent of survey respondents currently look most often to banks to provide real-time clearing and settlement for payments, while 20 percent look to a third-party payment specialist like PayPal for that service, ACI said. But banks’ lead shrinks a bit in respondents’ perceptions of the most capable providers of dedicated mobile payments apps. Less than half, or 46 percent, of respondents said a bank is most capable of providing such an app, while 29 percent pointed to a third-party specialist like PayPal to provide mobile payments via an app.